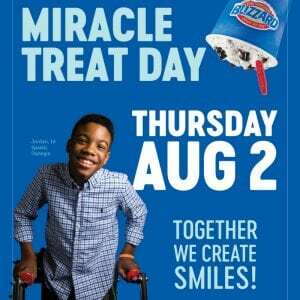 Miracle Treat Day is TOMORROW – Dairy Queen Corp. TOMORROW is #MiracleTreatDay! Make plans to visit your local Dairy Queen to get a #Blizzard, because for every one sold, $1 or more will be donated to Children’s Miracle Network Hospitals and #CHNOLA!